As Carleton alumni, both Mike and I have struggled with the tragic events of February 28th. We’d like to extend our sorrow and condolences to those most deeply affected by the accident — the families and friends of Michael, James, Paxton, Conor and Will. You have mentioned in the past about how much work Mike Caldwell put in during an offseason to truly elevate his game to the elite level, and talked about him running the “cutting tree” again and again. What exactly is the cutting tree, and is there a way to effectively teach that to a team? The most impressive thing about MC’s game is how self-made it is. 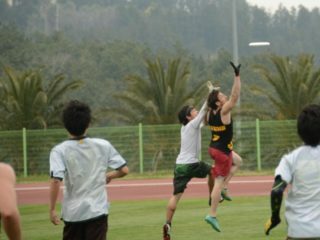 There are certain talents that silver-spoon their way into elite ultimate; maybe they’re tall, maybe they’re fast. Maybe they had a star-crossed juniors career that set them up early. Good for those people, but I’ve always had a soft spot for those of us (and it’s most of us) who really, really have to work for every little step up the mountain. That’s the path Mike took from his freshman year with GOP to throwing two Greatests in national title games. When I got this question, I immediately sent it on to Mike. Why would I answer it when he can tell it better? What’s great about what Mike has to say is that it is a path anyone can take – a blueprint for the blue-collar. Enjoy. Get four cones. Set them up in a square, 15 to 20 yards on each side. On one side, walk the cones in a couple yards to make a parallelogram. Start at one of the deep-cut cones (labeled 1) and make a hard in-cut to cone 2. Immediately change direction and make a deep cut to cone 3, change direction again and make an in-cut to cone 4 in the opposite lane. Change direction again and go deep… rinse, repeat. So what are you building here? Cutting hard as a habit. 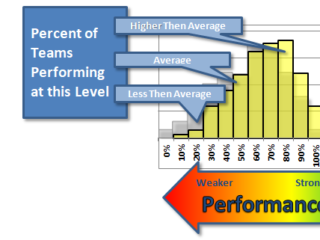 For most players, there is a big difference between track speed and game speed. Pick any game film and watch cutters cruising through their cuts at 80% to see what I mean. This drill allows you to replicate cuts in a game-like environment (cleats, a field, proportional sprints and turns) but under track conditions (no disc, defender or teammates to worry about). Practice bringing your track speed to a game. Make it a habit. Decisiveness. As a cutter, there are a small handful of situations where your next move is basically scripted. The most common of these is integrated into this pattern: If you were cutting under and you don’t get the disc, go deep. 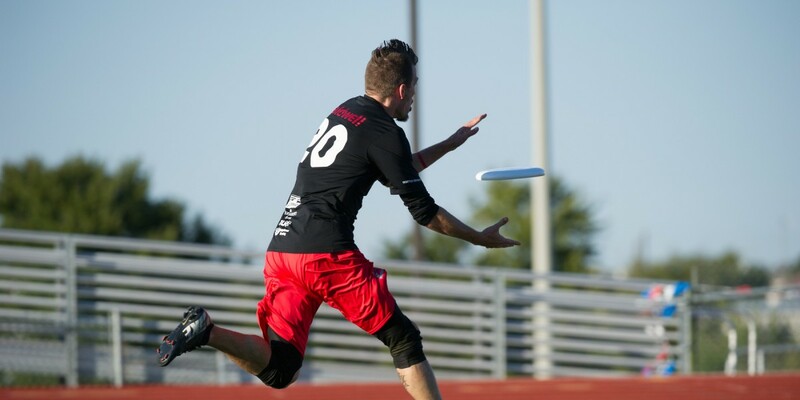 If you were going deep and you don’t get the disc, cut under. 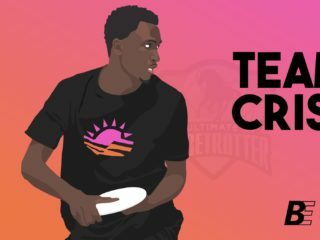 This isn’t news for anyone who’s played ultimate for more than a year. While it sounds simple, it’s much harder in practice. When a cut expires, young players are often hesitant to immediately cut the other direction without first surveying the field, figuring out where the space is, where the disc is going, what their defender’s doing, is it really worth running again when you’re kind of tired, etc. 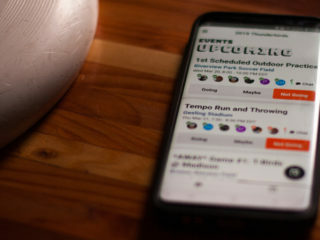 Ultimate is distracting. So many decisions! As a cutter, you can gain an enormous advantage on your defender by making this simple move with immediacy and 100% commitment. When you don’t get the disc, immediately stop as fast as you can and go the other way, with track speed instead of game speed. Don’t worry about the other stuff – you know this is what you should do, so DO IT. (You can change your cut in a moment if you really need to.) The best part is, your defender is subject to the same decision-making mess I described earlier. They are likely unprepared to defend any cut that sudden and that hard. This is not easy. Your brain doesn’t want to leap before it looks, especially if it’s tired. You have to practice this kind of sudden, decisive commitment and make it a habit. Now… that’s all great, and will probably help a player of any level to some degree but it’s the tip of the iceberg. The true utility of a cutting tree is as an aid to visualization. Once you’ve run the tree for a while and you’ve got the hang of it, start to envision the game around you. The first step to envisioning the game is cutting with your head up. (You can’t envision what you can’t see.) As you come out of your breaks, get your head up to see what you’re cutting towards. Start by imagining a clear lane, and as you get more comfortable you can imagine other cutters clearing from or entering your lane. Once you’ve taken a few steps, turn your attention towards the disc. This is easy if you’re cutting under – if you’re cutting deep, see if you can keep your track speed while looking over your shoulder. Start thinking about the other players, about situations. Look over your shoulder as you’re “cutting deep” and imagine the disc being dumped toward the middle of the field, setting up a swing pass. That’s your cue to make an in-cut to that side, and by threatening the deep lane with such conviction you’ve set up your defender perfectly. Now, what if it’s a timing problem? You’ve started your in-cut across the field, but imagine that the swing got released late and your cut will be too early. As your visualization of the game around you becomes more rich, you can start to deviate from the cone pattern. If you “see” that your under cut is going to be early, cut back three steps deep before cutting under again. Practice improvising. The most important parts of this visualization come before you change direction. What imaginary event did you react to? What did you “see” – specifically – that let you know you weren’t going to be thrown to, that your cut was early or late, that if you delayed one more second your timing would be perfect? These are the cues that will help you see situations quickly and drive your in-game decision making. Learn what cues you’re looking for, what they mean for you and practice recognizing and responding to them. There is tremendous advantage to be had in being the first to recognize and react to a developing situation. Most players have had moments like this, when you realize you can cut back and be open, but your defender still thinks that the throw is coming. Throw on the brakes, and they fly right by. It’s the best. Think about doing that over and over again. So good. The challenge is that it’s pretty hard to pull this off on your first cut. Some people can, but even the best take a lot of space and setup time. This is why I believe it’s so important for cutters to learn to string cuts together, one after another. The best encapsulation of this concept that I’ve come across is a term from the Japanese game go, called “sente.” It roughly translates as “initiative.” In go, a player gains sente by making a threatening move to which the opponent must respond. This gives the first player the freedom to make another threatening move, and another, and another, dictating the game to their opponent who has no choice but to respond to each threat. It’s hard to get open in a game, and impossible to guarantee that you’ll get the disc – there are just too many variables. But if you can read a situation and make a well-timed, well-spaced cut with speed and conviction, you’ve created a threat to which a defender (or the entire defense) must respond. If they respond by committing their resources to stopping the threat, you may not get the disc… but you do have sente. Immediately present your defender with another threat, and another, and another, without allowing time and space to recover, and your success is inevitable. Jog, or delay, or pout, or ignore an obvious cue, and you give your defender the opportunity to adjust and recover the initiative. Build your ability to recognize the cues which require response or adjustment, and respond with track-speed and immediate conviction. Surprise, surprise, all four cutters can’t do this at once. I’m partial to offensive systems that employ two activated cutters at any one time. With the other 1-2 cutters in cleared positions, there is plenty of field space for both active cutters to gain and maintain sente on their defenders. Once active, there are two primary reasons for an active cutter to clear. 1. Exhaustion. If you’re tired, let a fresh guy ruin his defender for a while. 2. You lose sente. 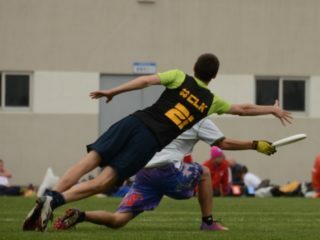 This can happen when you find yourself grossly out of position relative to the disc and cutting space and you can’t offer a viable threat. Or, your defender may read the play and effectively reposition before you can counter-cut. In these cases, it’s usually better to clear hard and let someone else initiate from their cleared position. Inner Game of Tennis, Timothy Gallwey. The classic. Thinking, Fast and Slow Daniel Kahneman. The first two sections are great and applicable to ultimate. The next two, less so. Sources of Power, Gary Klein. How the expert mind works in chaotic situations. Art of Learning, Josh Waitzkin. Recommended twice! Top Dog, Po Bronson and Ashley Merriman. The Psychology of Enhancing Human Performance, Frank Gardner and Zella Moore. Applications of recent developments in psychology to sports. On Intelligence, Jeff Hawkins. Computer systems and neuroscience combine to look at the brain’s ‘hardware’. Flow, Mihaly Csikszentmihalyi. Not mentioned, but another classic. Check the Ted talk here.